The case, in stainless steel or in 18kt red gold measures 42mm x 13.8mm. It has double sapphire crystals and it is water resistant to 30 meters. 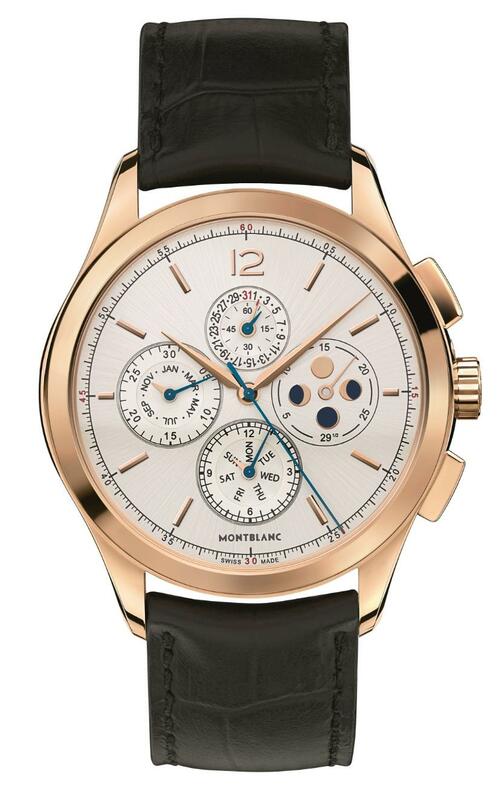 Movement is the Swiss automatic Montblanc caliber MB 25.09 (base Sellita) with annual calendar module and chronograph module with moonphase complications. It has 25 jewels, 28,800 vph and a power reserve or 42 hours. Functions are: hours, minutes, small seconds at 12 o'clock, month hand at 9 o'clock, day hand at 6 o'clock, date hand at 12 o'clock, moonphase at 3 o'clock, 30-minute and 12-hour chronograph counters. 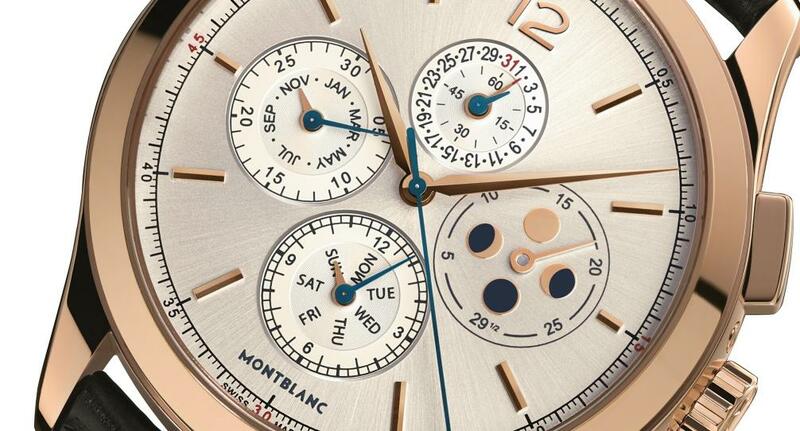 It features the Montblanc Laboratory 500 Hours Certificate. The dial is silvery white, done in a sunburst motif, with gold hands and appliques. It comes on a black alligator leather strap with a steel or 18kt red gold pin buckle. MSRP is $10,450 in steel and $20,700 in 18kt red gold. Previous Topic: Happy New Year to all you MB collectors.